I'm joining The Average Jane's blog giveaway! 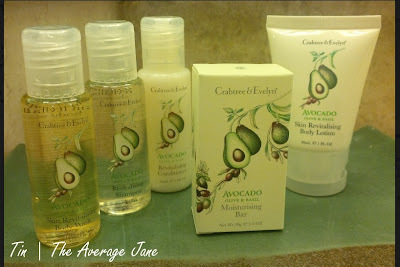 She'll be raffling off these travel-sized set of crabtree and evelyn toiletries. What are you waiting for, join now and get a chance to win! Contest runs June 21-31, 2013! Thanks Anders. Just bought the book as well as marked your review as helpful. Have you read Serious Play and Sketching User Experiences both about prototyping/design thinking to reach business goals?